Cultivating a holistic environmental politics and regenerative sustainability practice is one of the great challenges of our time. Part of this cultivation prompts us to network with leaders in the practice of sustainability transitions and learn from on-the-ground projects that are doing this work. 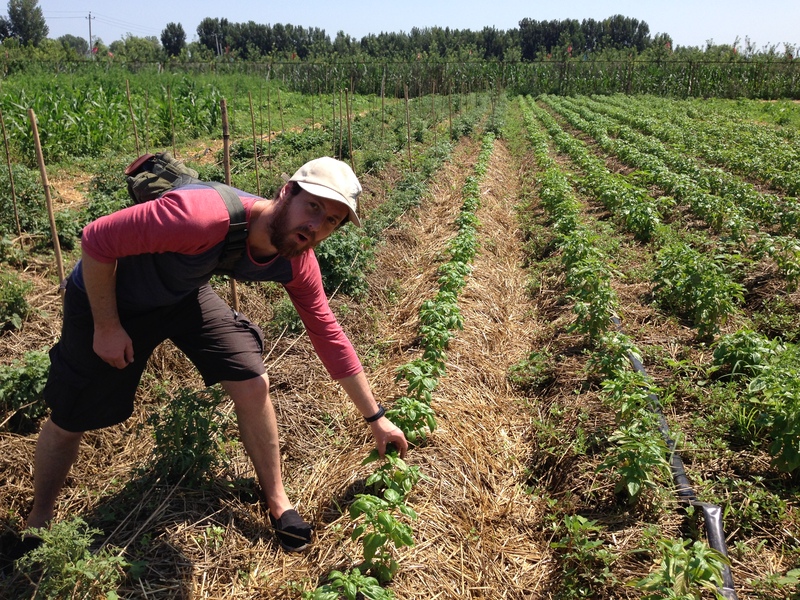 One of these projects is the Herb Whisperer farm, an hour north of Beijing in China, run by the “Herb Whisperer” himself, Thomas Avery Garran. One for my fellow sci-fi nerds: Tardis in the orchard at the Herb Whisperer farm. 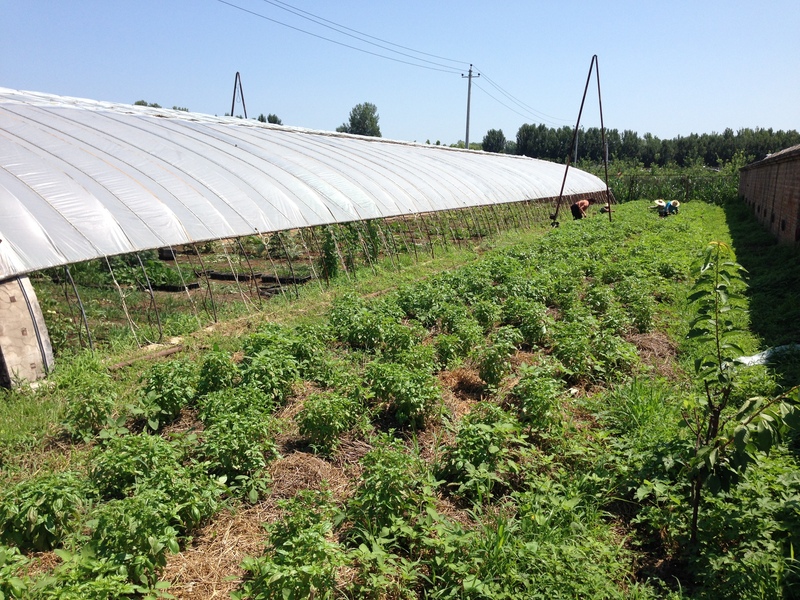 I visited the Herb Whisperer farm in July 2016 with the group of participants in my Environment and Sustainability in China Study Tour (POL3ESC). The study tour is a collaborative venture between La Trobe University’s Department of Politics and Philosophy, La Trobe Asia, the LTU Confucius Institute and partner organisation CERES Global, led by Dr Ben Habib and Lily Falconer from La Trobe University, and Ben Walta and Josephine Newman from CERES Global. The aim of the tour is to explore how local actors in China, across different fields, grapple with environmental challenges and sustainability transitions. Environment and Sustainability in China Study Tour group photo with Thomas at the Herb Whisperer farm. Visiting the Herb Whisperer farm was a fantastic learning experience for our tour group. It presented a viable model for the application of permaculture design principles to agriculture at scale, as well as illustrating some of the limitations of establishing permaculture-based agricultural systems in an unsupportive social setting. 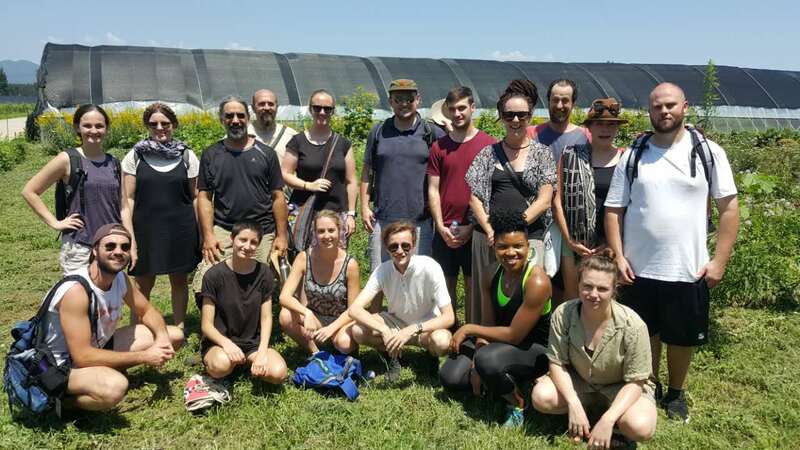 What we discovered was a fascinating bridge between two cultures that offered lessons about the advantages and pitfalls of transplanting ideas from outside their original cultural context in sustainability practice. We discovered the Herb Whisperer farm quite by accident. The day before the official commencement of our Environment and Sustainability in China Study Tour, a small group of us from the leadership team hired bicycles and cycled from our lodgings in Dōngchéng District to Sānlǐtún. 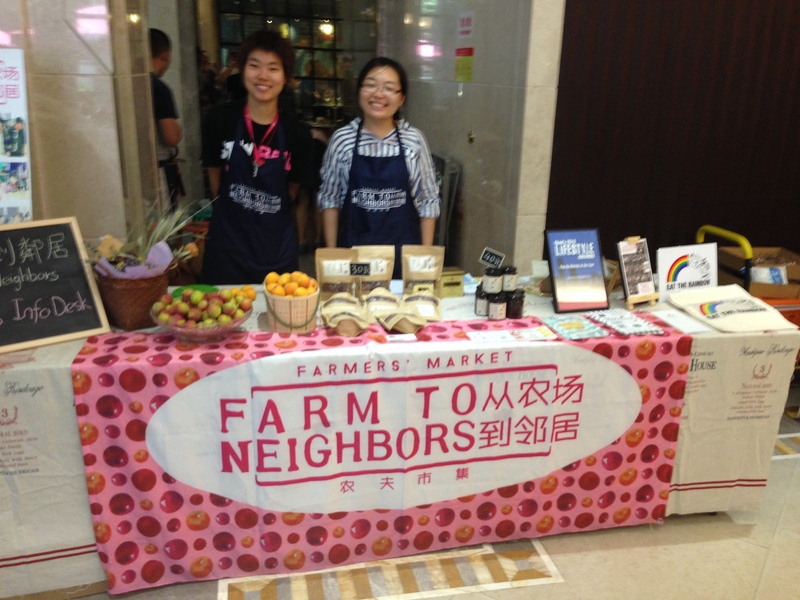 On our travels we stopped off at the Beijing Farm to Neighbour farmers’ market in the basement of the Grand Summit shopping mall at Dōngzhímén, in the heart of the expat precinct in the Cháoyáng District. 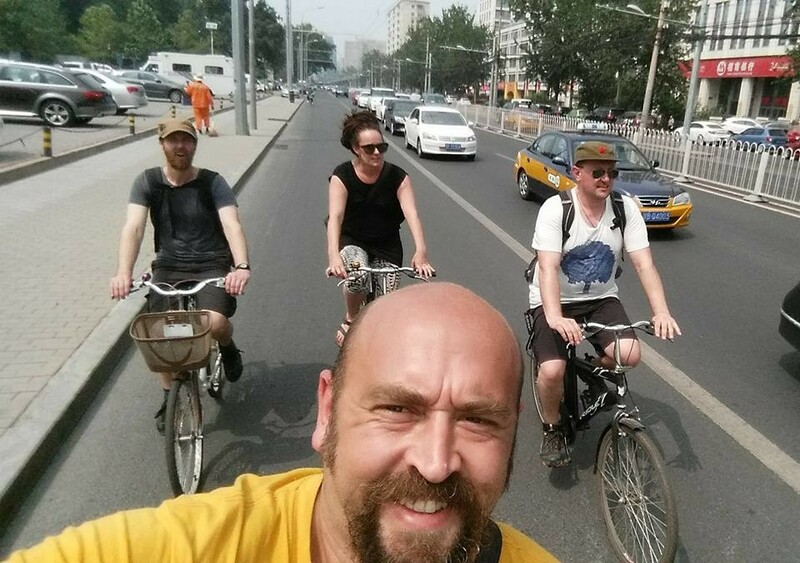 Pip, Josephine, Ben and Ben riding through Beijing. The produce and artisan wares on sale were familiar farmers’ market fare. The telling difference was its location in the basement of a high-end department store. The conception of the “farmers’ market” is itself an import from the Anglosphere, contrasting in both aesthetics and bustle from the usual “wet markets” at which Chinese buy fruit and vegetables. The Farm to Neighbour farmers’ market also contrasts from the standard wet markets in its sale of organic produce. A large proportion of Chinese agriculture is operated according to industrial-scale “green revolution” principles which use large amounts of chemical herbicides and pesticides. Indeed the level of chemical contamination in Chinese agricultural produce has become a driver of the Western-style farmers’ market phenomenon in some major Chinese cities. Farm to Neighbour market information stall. Thomas welcomed us to his farm on a stinking hot sunny July day with a big smile and infectious charisma. It became clear as he describe the layout of the farm and the logic behind it that he’s a think-outside-the-box, ahead-of-the-curve thinker with overlapping commercial and academic interests which intersect at the farm. Indeed the multifunctional nature of the operation stood out for me as a highlight of our visit, as self-regulating multifunctionality is a much sought-after goal in any permaculture system design. Herb Whisperer banner at Farm to Neighbour market. Thomas has been studying herbal medicine since 1989. His original training was in Western herbalism and later in Chinese medicine. He has made a living as a professional wild-crafter, practitioner, and teacher. He is a graduate of the American School of Herbalism and holds a Masters Degree in Traditional Oriental Medicine from Pacific College of Oriental Medicine. Thomas is the former Chair of the Department of Herbal Medicine at the Institute of Clinical Acupuncture and Oriental Medicine in Honolulu, and on the advisory board for the John Burns School of Medicine’s Department of Alternative and Complimentary Medicine, University of Hawai’i at Mānoa. 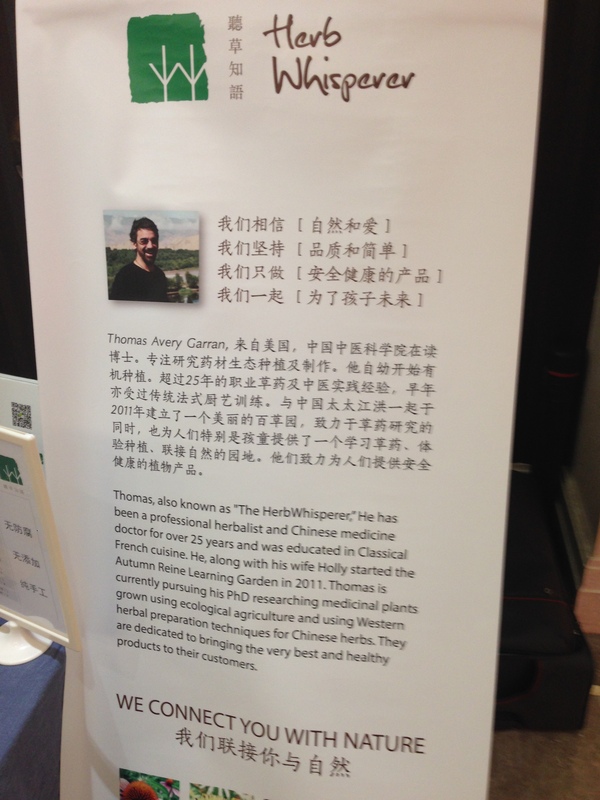 Thomas is the author of Western Herbs According to Traditional Chinese Medicine: A Practitioners Guide and Western Herbs in Chinese Medicine: Methodology & Materia Medica. He is also the author of several peer review journal articles and is a contributing author to the American Herbal Pharmacopoeia. While not explicitly a practitioner of permaculture, Thomas informed us that permaculture principles do inform his agricultural practice. Thomas’ work also appeals to me as an advocate and fan of Chinese traditional medicine and acupuncture, as well as the similarly holistic Indian discipline of Ayurveda. It’s the systems-level, holistic thinking underpinning all of these disciplines that holds the key to successful sustainability transitions. 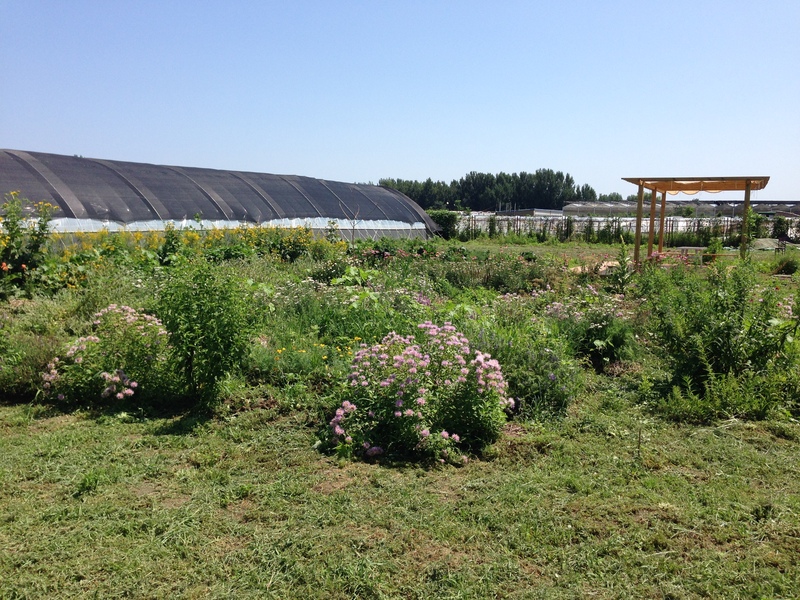 The Herb Whisperer farm has been established on a relatively new site in its first year of operation. The farm itself has a number of features. 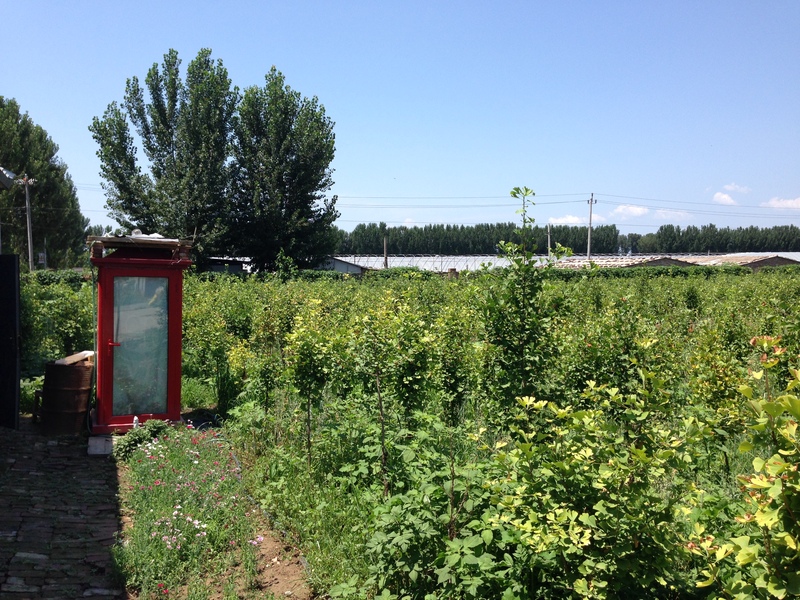 The farm produces medicinal Chinese herbs for export, in addition to vegetables and a fruit orchard, making use of permaculture-inspired poly-cropping techniques to harness the ecosystem advantages of companion planting. Thomas is using the farm as a test site to experiment with the growing conditions for American ginseng as part of his PhD research. Some of the greenhouses on site are breeding areas for a species of small frog, which are bred for sale. The farm also features a beautiful herb garden which Thomas and Holly have dedicated to their daughter. The farm employs four locals from the neighbouring village. They do yeoman-like work but, as Thomas noted, his ability to fully implement permaculture design features into the farm is limited by the age and knowledge base of his workers, who are all over fifty years of age and illiterate. The physical capacity of the workers, as well as their small number, restricts how much heavy earth work can be done of the farm. The illiteracy of the workers makes it difficult for Thomas to communicate the permaculture design principles in a way that is easy to implement, despite Thomas’ fluency in Mandarin. This highlights an important point that sustainability transitions are about the art of the possible. Such projects inevitably have to start from the present and work with the resources available rather than stick unrealistically to a utopian vision. Our tour group came into their own at the farm. Micaela, Shannon and Connor, the agricultural science students in our tour party, put their knowledge into practice helping Thomas to diagnose the cause of stress to a row of tomato plants. Pip, a colleague of mine from the CERES permaculture design course, applied his permaculture-inspired landscape reading skills in admiring the design of the farm-scape and sharing his permaculture insights with the students in our group. The other students asked insightful questions about the farm and the rationale for its design features. Overall it was one of the best learning experiences for the group during our trip. Networking with fellow travelers at home and around the world is an important task for those interested in sustainability transitions. Complex systems theorists argue that such networks produce emergent effects that move beyond the collective of individuals within the network. Utilising the power of emergence is an important tool in our quest to build regenerative, sustainable societies. Thank you to Thomas for his hospitality in hosting our group! Students examining a tomato crop. Sunflowers just past their prime. Central avenue of the farm. Liu, Zhanwen and Liu, Liang. (2009) Essentials of Chinese Medicine—Volume 1: Foundations of Chinese Medicine. London: Springer-Verlag, pp. vii.